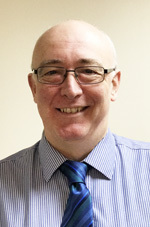 Paul is the Technical Director for the ALS laboratory in Hawarden. Over the last 25 years Paul has spent the majority of his time between developing new methods, looking at emerging legislation and solving challenges for clients. Originally starting his career in the waste water industry, Paul has also been involved in the contaminated land sector for more than 15 years. Recently Paul was one of the major drivers of the method for poly and perfluorinated compounds (PFAS) and the so-called TOP assay and new methods for the Water Framework Directive. 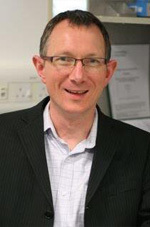 Clive is Chief Scientist at ALS Life Sciences in Rotherham and a Visiting Professor at Brunel University of London. Clive is a well known expert in the Environmental and Water testing industry in the UK having spent a considerable amount of his time over the last 20 years providing solutions to clients analytical challenges. 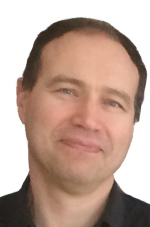 He has published over 55 peer reviewed papers on a wide range of topics mainly relating to analysis and has a very wide range of contacts relating to food and water analysis. Geraint is an Associate at the ALS laboratory in Hawarden. He has over 20 years’ experience advising on a wide range of UK projects involving the investigation and assessment of sites under planning and Part 2A. 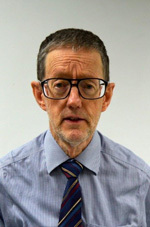 He has previously worked across a range of disciplines including human health, controlled waters and ground gas risk assessment as well as assessing risk from vapour intrusion. He was a technical expert in UNEP’s environmental assessment of Ogoniland, Nigeria and has advised on similar projects in Eastern Europe, Middle East, Central Asia and South Africa. Geraint has a key interest in promoting best practice and serves on the Executive Committee of the Society of Brownfield Risk Assessment (SoBRA), the Association of Geotechnical and Geoenvironmental Specialists (AGS) and is a committee member of the Standards and Groundwater Vapour Risk Assessment subgroups. Any questions related to the investigation of land contamination including advice on sampling and analytical strategies should be directed to Geraint. 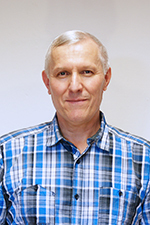 Miloslav is the Laboratoy Manager for ALS laboratory for Persistent Organic Pollutants (POP’S). 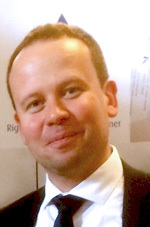 Since taking over leadership of the laboratory in 2002, Miloslav has developed the laboratory from having 1 instrument focused on dioxin testing to currently operating 6 instruments covering the majority of POP’s requested from clients including full range of PCB’s and Brominated Flame Retardants. Should you have any questions concerning analysis of POP’s please contact Miloslav. Tomas is currently the Senior Scientist Specialist for the ALS laboratory in Ceska Lipa focused on Radiology and Ecotoxicology. For the last 20 years Tomas has been in charge of running the laboratory but recently handed over this responsibility to others to be able to focus more on solving analytical challenges for clients around Europe. Tomas is regularly invited to speak at conferences and has been consulting on numerous projects during his career. Any questions related to Radiology or Ecotoxicology can be directed to Tomas. Ilia is the laboratory manager for ALS dedicated laboratory for metals testing in Luleå Sweden. As a result of his knowledge and his involvement in the scientific community Ilia has been awarded a professoriate at the local university. While running a large sized laboratory Ilia also find he time to do research and he currently has published more than 100 articles in peer review journals and are invited to speak at scientific conferences around the world. Any question related to metals and isotopes can be directed to Ilia.